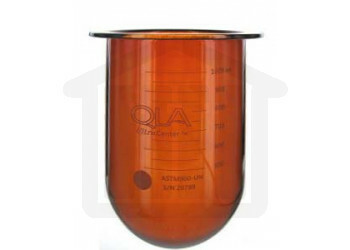 Recent studies have shown that one of the biggest variables in the dissolution test is the vessel itself. Irregularities in the curvature and the inner surface of a dissolution vessel contribute significantly to the occurrence of erroneous dissolution test results, and can easily affect the calibration of the system when using calibrator tablets. Manufactured using a thermal vacuum process, the UltraCentre Dissolution vessels offer considerably lower tolerances on physical dimensions than standard hand blown vessels and therefore lower variation of glass thickness and shape. In addition, every vessel is exactly the same and so offers less variation in results between vessel positions. The UltraCentre dissolution vessels are designed to assist with the new ASTM calibration standards negating the need for costly and time consuming calibration tablets. A certificate of conformance to ASTM standards is also provided with all vessels and available for download. Standardisation across all brands of bath including Vankel/Varian, Distek, Hanson and Erweka (achieved through the use of mounting rings). Accuracy and validation of centering and paddle height due to geometrical precision of the vessels.